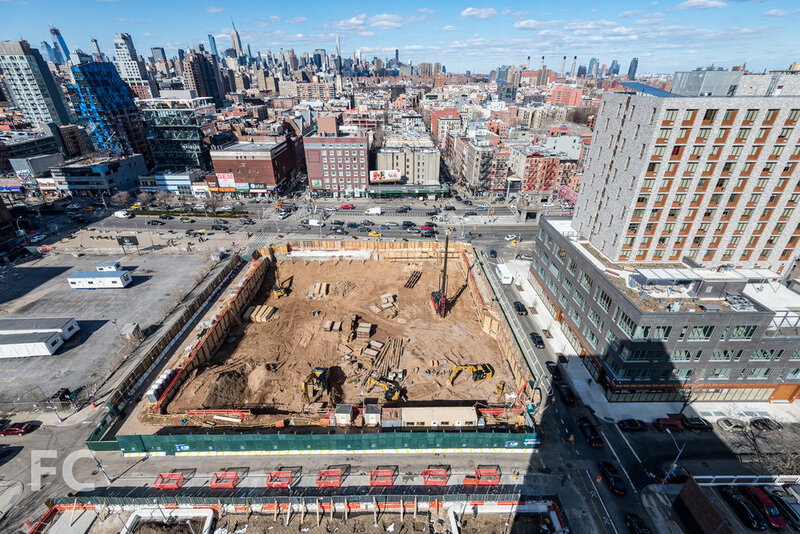 After mostly sitting vacant since 1967, a six acre area of the Lower East Side is transforming into a mixed use development with nine building sites. 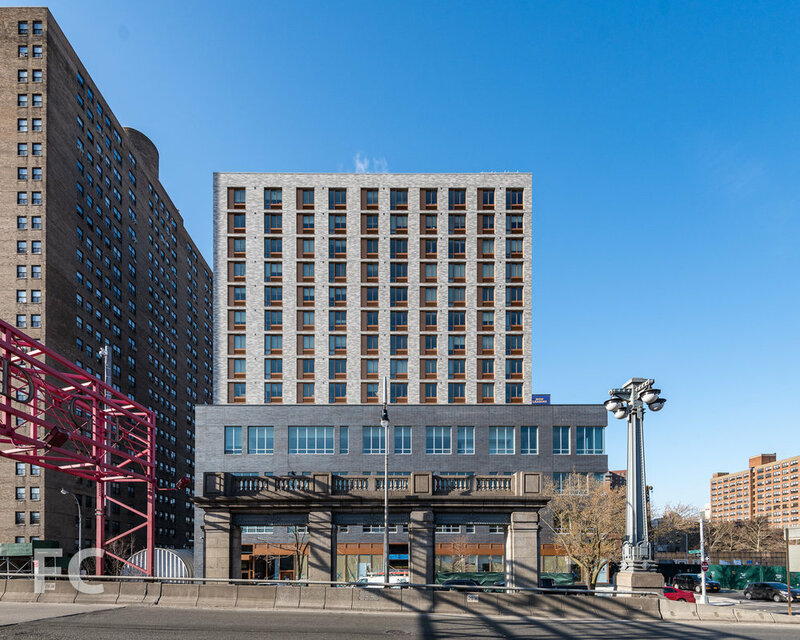 Now known as Essex Crossing, the $1 billion development will include residential, office, retail, cultural and community space. 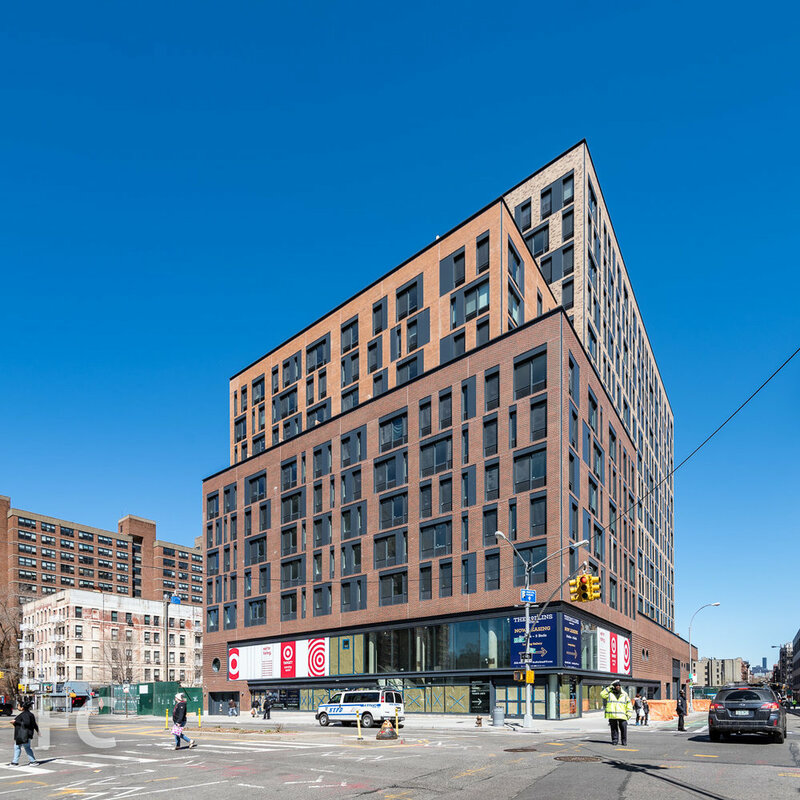 The mega development is overseen by a joint venture of L+M Development Partners, BFC Partners, and Taconic Investment Partners, and Goldman Sachs. 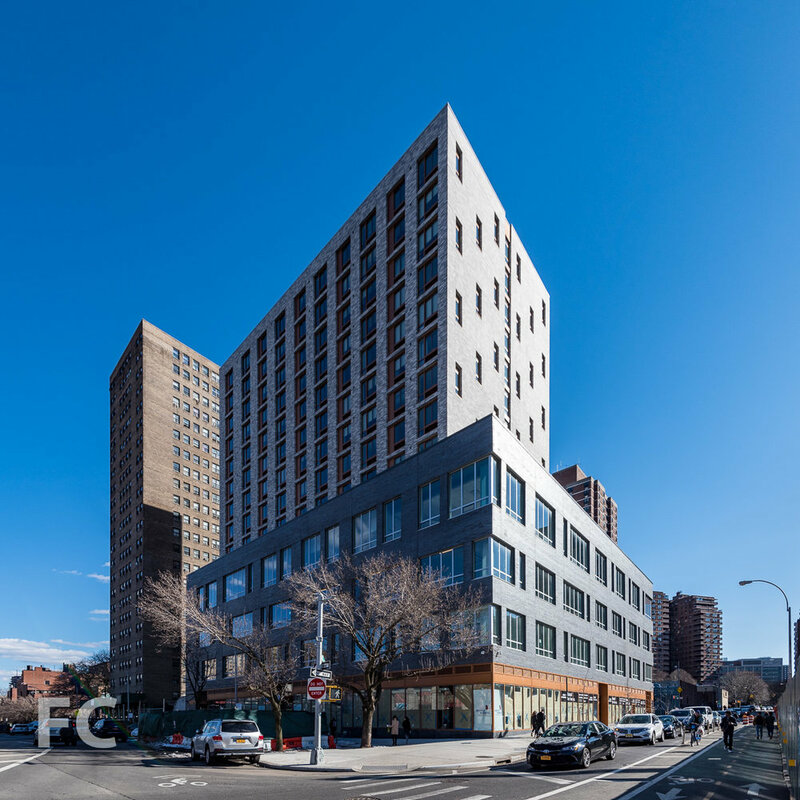 Included in the first phase of construction is the 14-story, 55-unit condo tower from SHoP Architects. 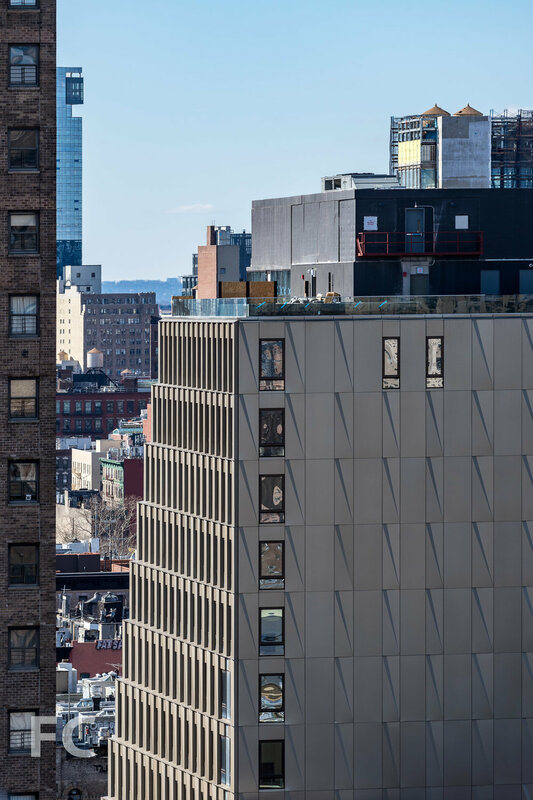 The project is located on site 1 at the corner of Broome and Ludlow Street, anchoring the western edge of the development. 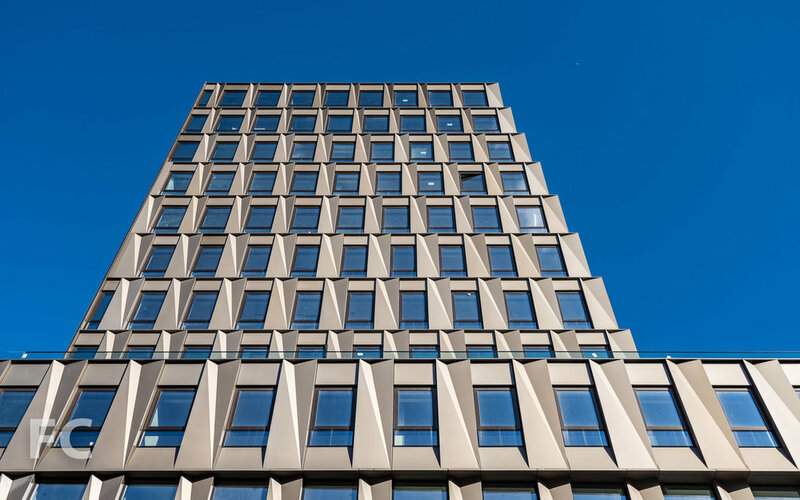 Massing for the tower follows a typical podium and setback tower strategy, creating a sixth story outdoor terrace. The tower slopes inward at the southwest corner, opening up the terrace to more light and views. Installation is wrapping up on the bronze-toned metal panel and glass curtain wall that clads the exterior. The design features faceted metal panels that frame the glass openings. At the podium, the metal panel spandrels covering the floor slabs create deep overhangs on the west facade as the form of the building torques at the southwest corner. Looking up at the west facade of 242 Broome Street. Southwest corner of 242 Broome Street. Southeast corner of 242 Broome Street. 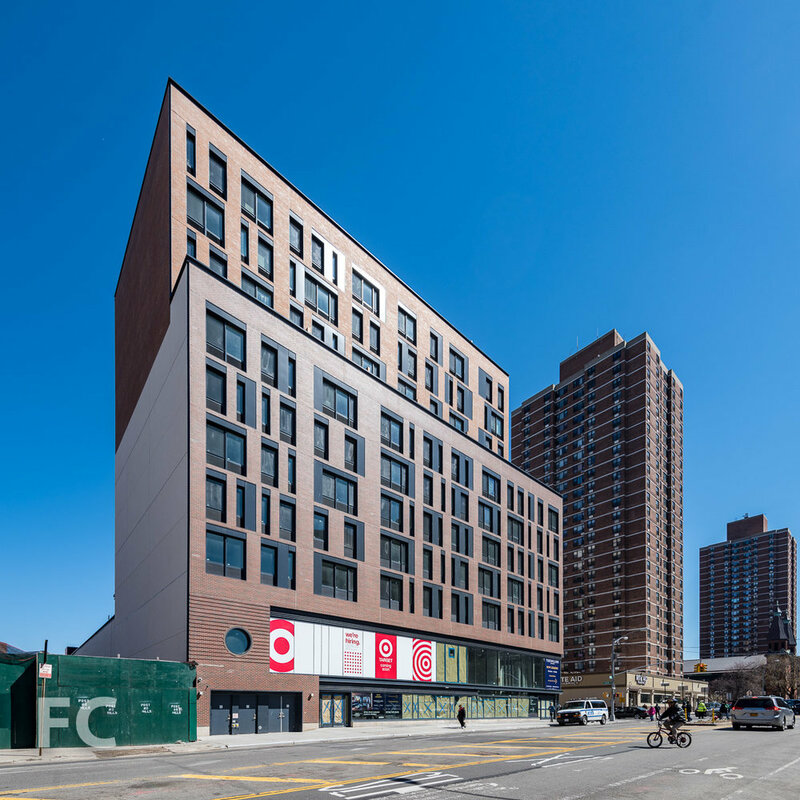 Site 2 features a 24-story tower with a five-story podium that will house part of the Essex Street Market. Designed by Handel Architects, the mixed-use tower is the largest project in the 9-site mega development. 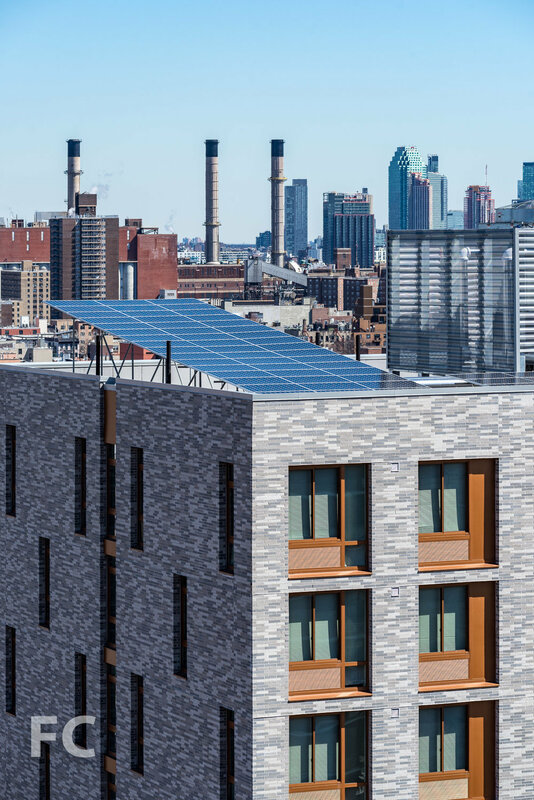 Along with the market space and 195 rental units, half of which will fall under the affordable housing program, the tower will also house a 14-screen movie theater, an urban farm on the podium roof, and amenities for the residents. Currently, installation of the bronze-toned metal panels is wrapping up and the tower should open later this year. Southeast corner of 115 Delancey Street. Northeast corner of 115 Delancey Street. East facade of 115 Delancey Street. Southeast corner of the tower at 115 Delancey Street. Southwest corner of 115 Delancey Street. Site 4, also designed by Handel Architects, will feature a 26-story mixed-use tower with 10,000 square feet of ground floor retail, 175,000 square feet of office space on floors two through five, and a tower with 263 rentals. 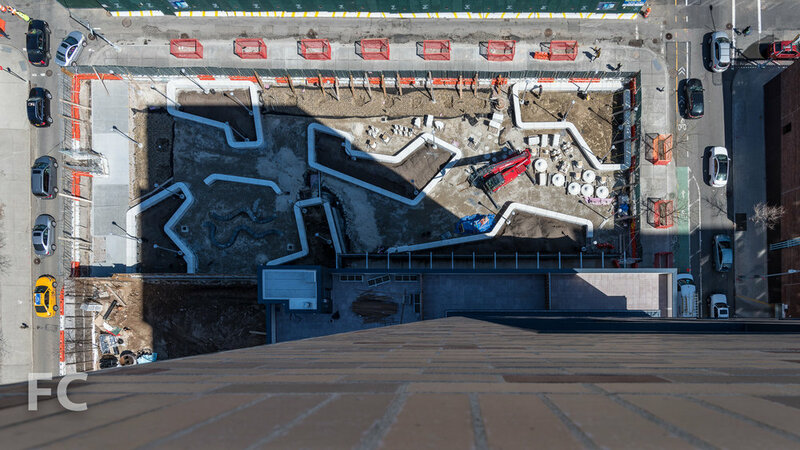 Looking down on the site of 180 Broome Street. 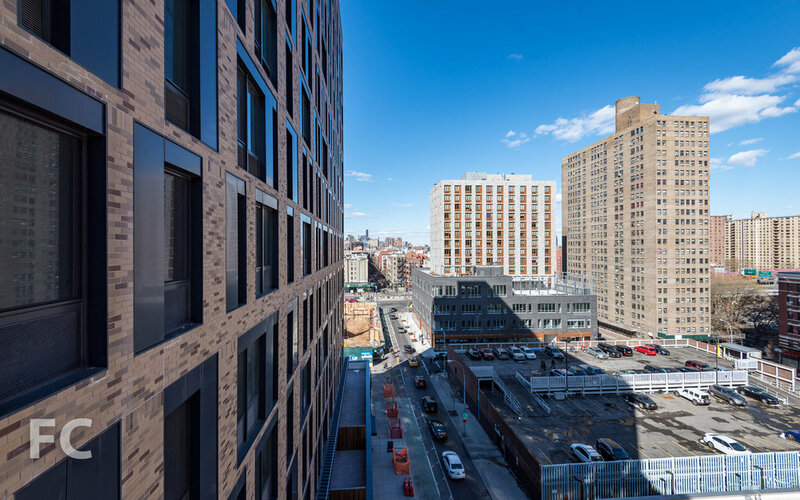 At the eastern boundary of the mega project, site six features a 14-story, brick-and-punched window rental tower from Dattner Architects. 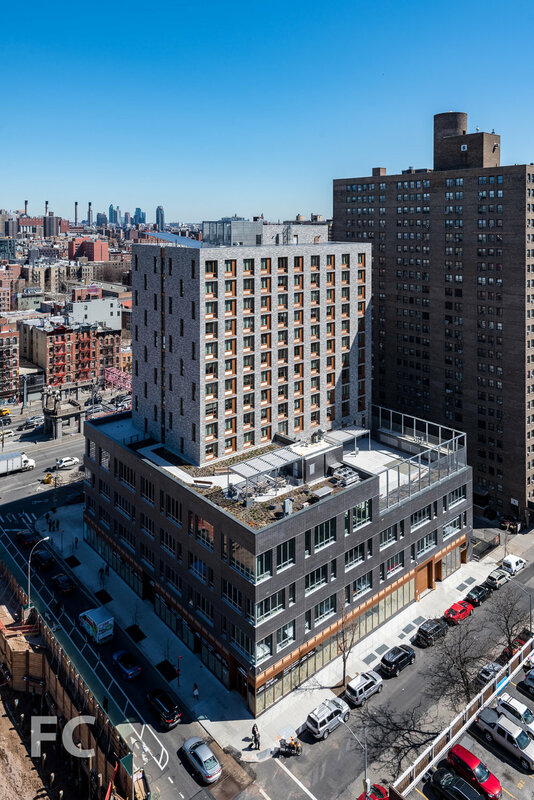 All 99 units are set aside as affordable housing for seniors, and the podium will house a new NYU Langone medical center and a senior center operated by the Grand Street Settlement. Southwest corner of 175 Delancey Street. Close-up of the southwest corner of 175 Delancey Street. Southwest corner of 175 Delancey Street from Clinton Street..
Northwest corner of 175 Delancey Street. Close-up of the northwest corner of 175 Delancey Street. Retail storefront at 175 Delancey Street. North façade from Delancey Street. Residential entry at 175 Delancey Street. 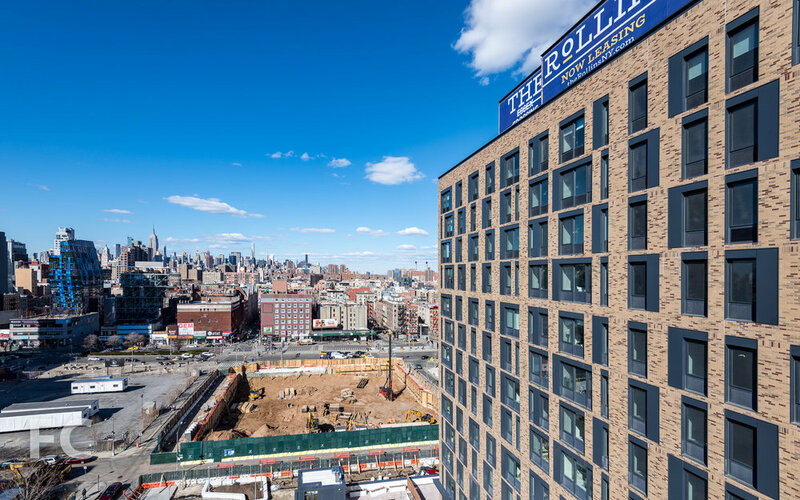 Site five, recently renamed The Rollins, is a 15-story rental tower from Beyer Blinder Belle. 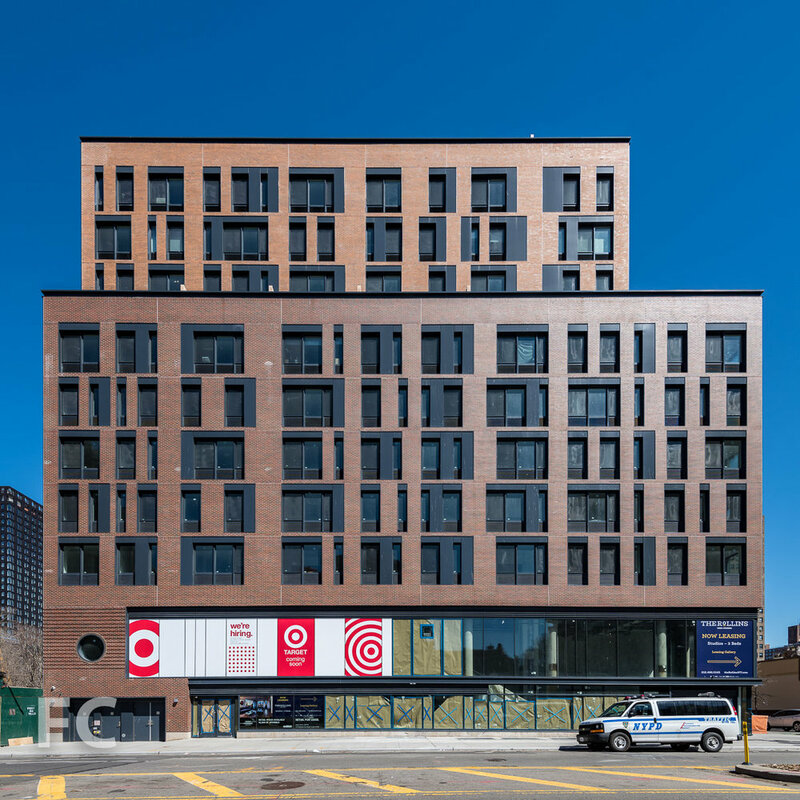 The brick and metal panel clad building will house a Target and a public school, with a West 8 designed park located along the site's northern boundary. Southeast corner from Grand Street. South facade of 145 Clinton Street. Southwest corner from Grand Street. Northeast corner of 145 Clinton Street. Looking down on the future park. Looking down on the future amenity deck. 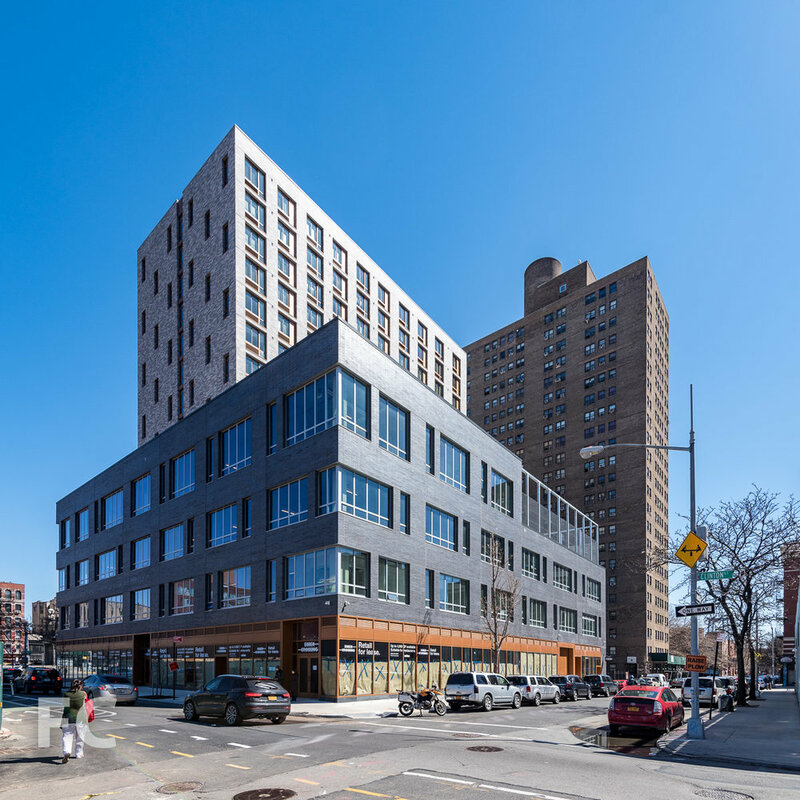 Developers: Delancey Street Associates (Taconic Investment Partners LLC, L+M Development Partners, BFC Partners, Goldman Sachs); Location: Essex Crossing, Lower East Side, New York, NY; Completion: 2018.